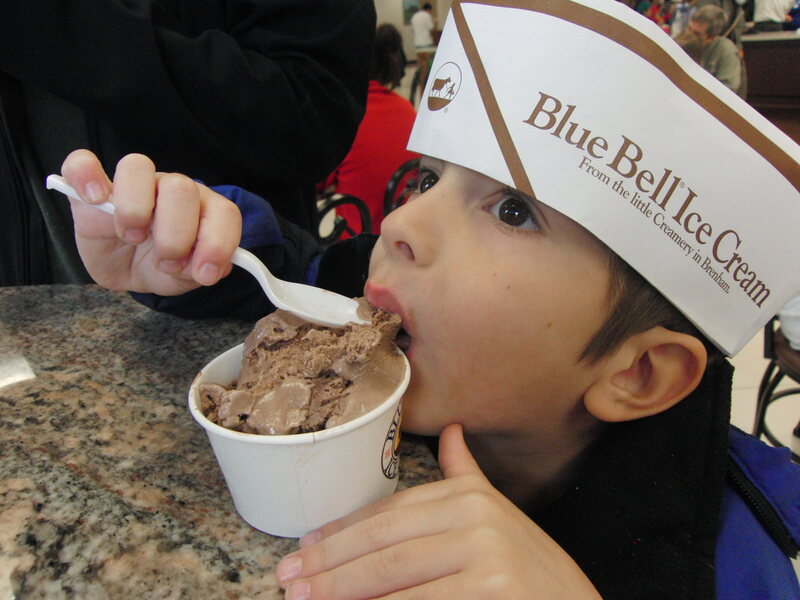 Like every good Texan, we love Blue Bell Ice Cream, and the kids couldn’t wait to visit the Blue Bell Creameries for a tour, and the ice cream that comes with it! 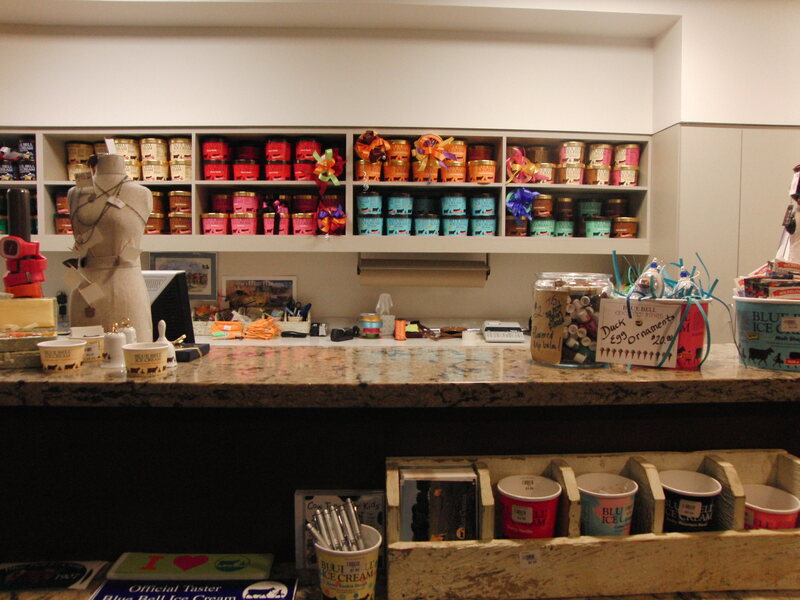 Inside the tour center you can see pictures of old Blue Bell Slogans, read about the history of Blue Bell and see all the different places Blue Bell is sold. 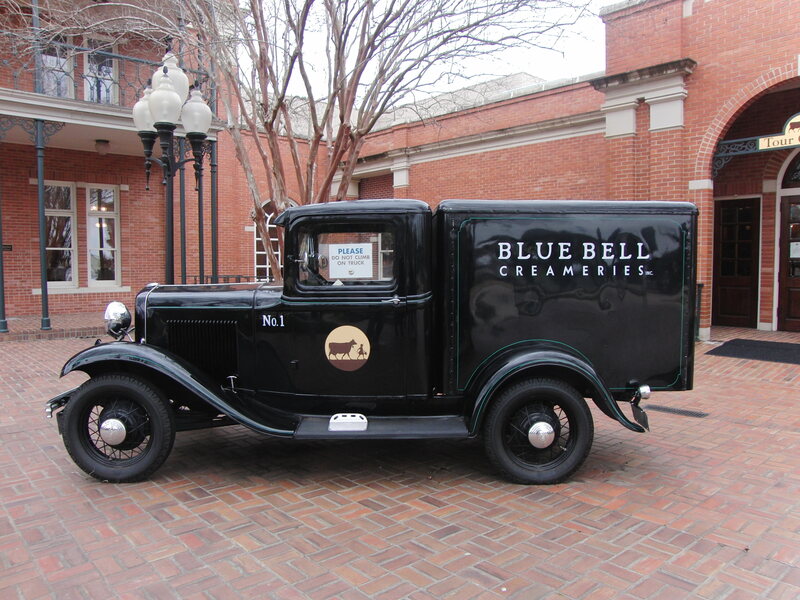 No Blue Bell Creameries photo op is complete without one. They adjust for almost any size head. 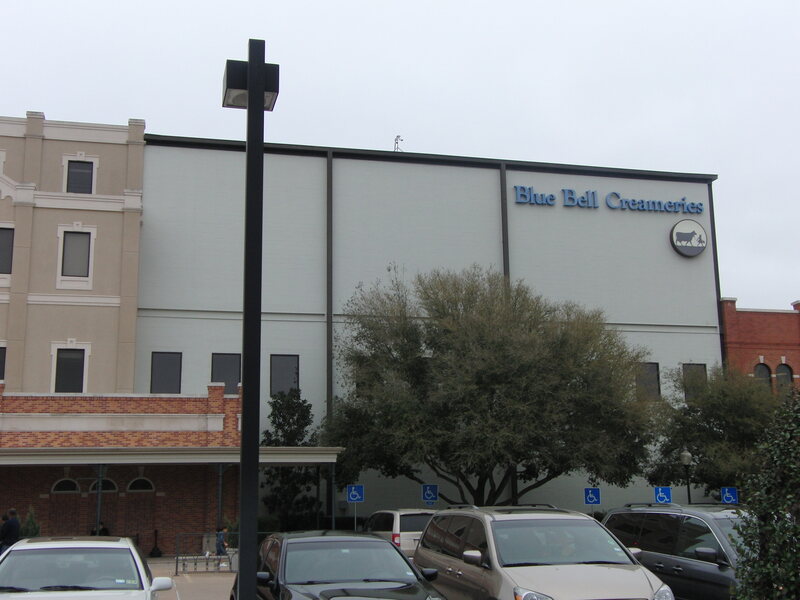 As of Summer, 2017, the Brenham Creamery Tour is a self-guided tour to the observation deck to watch as they make and package Blue Bell Ice Cream! You actually get to see the ice cream being filled into the half gallon tubs and the sandwiches being put together! Most of the work is automated, and it’s amazing to watch. The employees at Blue Bell are all very friendly! Of course, they get unlimited ice cream to eat, so it only makes sense that they are happy and enjoy their jobs! They really take their slogan, “We eat all we can, and we sell the rest” seriously. We learned that all ice cream from Blue Bell in Brenham is made with milk from a 200 mile radius of Brenham. I love that it’s local! Wondering where the pictures of our tour are? Sorry, no photography allowed during the tour. 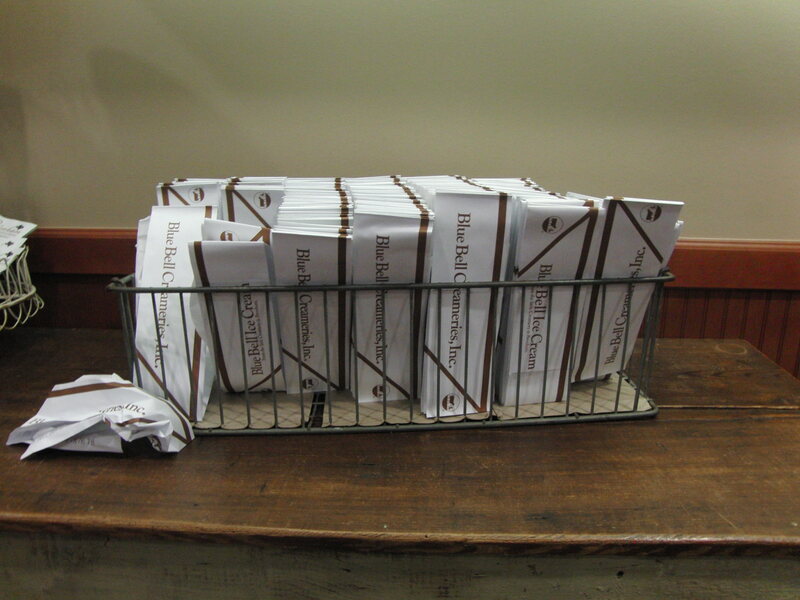 Your tour admission includes a FREE scoop of ice cream of one of their 16 most popular flavors. You can purchase an additional scoop for $1. They only have cups, no cones. My 7 year old insisted that I include this information, he said it was VERY important. You can purchase a reminder of your visit to Blue Bell Creameries, or an unused ice cream 1/2 gallon carton for only $.40. They also use the carton for a really cute gift wrapping! We love window shopping in downtown Brenham, with lots of cute shops, restaurants and more! You can also see the original Blue Bell Creamery located downtown, which is still in operation and where all the snack products are made.